Durham A-Frame truck with louvered panels and pegboard on both sides. Louvered panels accommodate all sizes of Hook-on Bins (bins sold separately). Each side is half louvered panel and half pegboard. Pegboard holes are 1/4-inches diameter and are punched on 1-inches centers (peg hooks not included). 1-1/2-inches angle iron frame. 12 gauge steel deck with reinforced channels underneath. 1-1/2-inches lip on deck prevents parts from falling off during transport. 16 gauge louvered panels are welded welded to opposite sides of the truck. Overall height is 57-inches. 9-inches of deck space on each side of "A". Heavy duty handle makes transport easy. Phenolic casters, (2) rigid and (2) swivel with side brakes; measure 6-inches diameter by 2-inches width. Deck is 9-1/8-inches above the floor. Ships fully assembled. Durable, textured,Durable gray, textured powder coat finish. Durham A-Frame truck with pegboard on both sides. Pegboard holes are 1/4-inches diameter and are punched on 1-inches centers. They accommodate standard peg hooks. (peg hooks not included). 1-1/2-inches angle iron frame. 12 gauge steel deck with reinforced channels underneath. 1-1/2-inches lip on deck prevents parts from falling off during transport. 16 gauge steel pegboard are welded to both sides of the truck. Overall height is 57-inches. 9-inches of deck space on each side of "A". 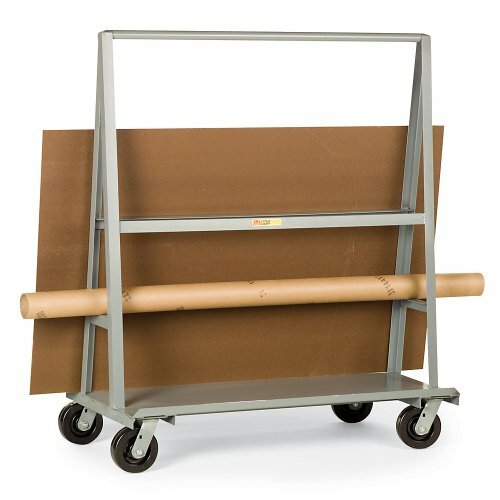 Heavy duty handle makes transport easy. Phenolic casters, (2) rigid and (2) swivel with side brakes; measure 6-inches diameter by 2-inches width. Deck is 9-1/8-inches above the floor. Ships fully assembled. Durable, textured,Durable gray, textured powder coat finish. A-frame design allows user to store panels on both sides of truck. LITTLE GIANT A-Frame Truck moves plywood, drywall or panels. 48"H uprights are spaced 12" apart at base. 12-gauge steel deck has a 1-1/2" retaining lip on each side. Four casters, all swivel. Durham A-Frame truck with louvered panels on both sides. Louvered panels accommodate all sizes of Hook-on Bins. 1-1/2-inches angle iron frame. 12 gauge steel deck with reinforced channels underneath. 1-1/2-inches lip on deck prevents parts from falling off during transport. 16 gauge louvered panels are welded to both sides of the truck. Overall height is 57-inches. 9-inches of deck space on each side of "A". 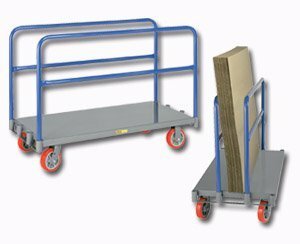 Heavy duty handle makes transport easy. Phenolic casters, (2) rigid and (2) swivel with side brakes; measure 6-inches diameter by 2-inches width. Deck is 9-1/8-inches above the floor. Ships fully assembled. Durable, textured,Durable gray, textured powder coat finish. Durham A-Frame truck has a 1-1/2-inches angle iron frame and 12 gauge steel deck with reinforced channels underneath. 1-1/2-inches lip on deck prevents parts from falling off during transport. Overall height is 57-inches. Deck is 9-1/8-inches above the floor. Phenolic 4 swivel casters measure 6-inches diameter by 2-inches width. Ships fully assembled. Durable, textured,Durable gray, textured powder coat finish. In our goal of being your best source for all things towing, the CURT line of trailer jacks is designed with care and manufactured with pride. CURT jacks are made with quality to promote the life and function of your trailer, and they come in several different styles to accommodate your needs, whether you are a frequenter of the boat landing, the campground, the racetrack or the field.CURT A-frame jacks are designed specifically for A-frame trailers. They can be bolted or welded directly onto the trailer frame. 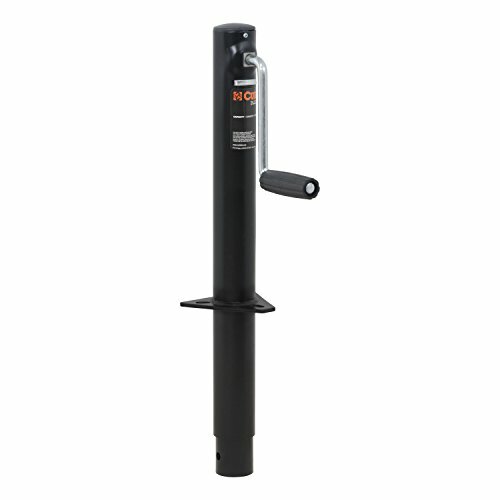 Though they are not able to swing up and out of the way like CURT swivel jacks, A-frame jacks are made to retract completely to ensure enough clearance for safe travel.This CURT A-frame trailer jack features a weight capacity of 2,000 lbs., a travel of 14 1/2" and a side-wind handle. It does not matter what kind of trailer you tow -- a boat trailer, utility trailer, livestock hauler or recreational vehicle trailer -- if you have a receiver-style trailer, you will want a jack that complements its function. For a trailer jack that will not steer you wrong, CURT has the answer. 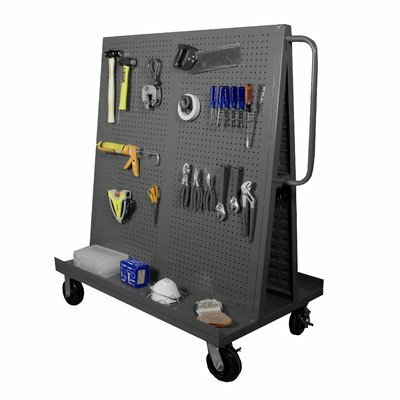 Little Giant all-welded heavy-duty Mobile Pegboard A Frame-Lean bulk handling tool cart. 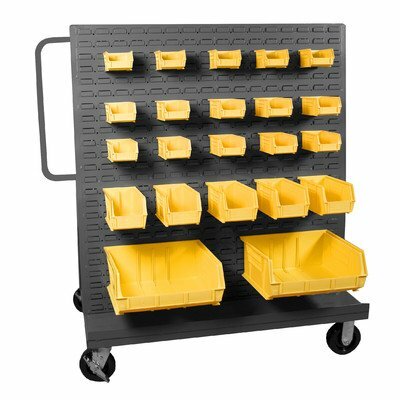 Use in your lean manufacturing facility to transport and efficiently organize tools and equipment. Visually locate tools and items in seconds. 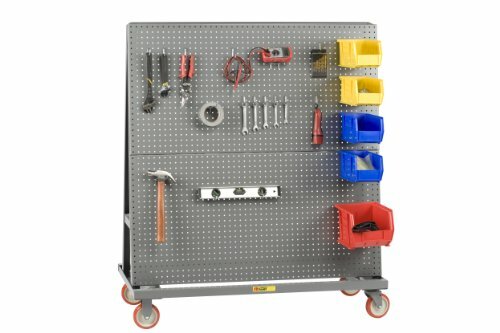 Use tool shadowing on the pegboards to know immediately if a tool, accessory or part is missing. 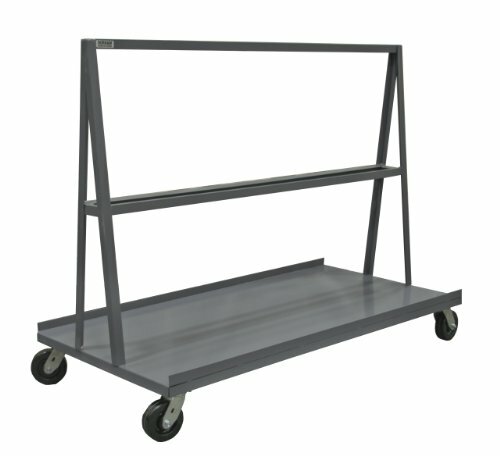 This all-welded, heavy-duty, durable unit features a durable powder coated gray finish. 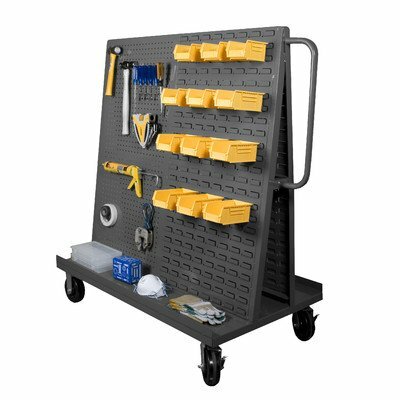 The 16-gauge pegboard has holes on 1-inch centers and accepts most common light and heavy-duty hooks. Pegboards are 48-inches high. Overall height is 56-inches. 2 rigid and 2 swivel 5-inches polyurethane wheels make it easy to safely transport your tools to the work area. Pegs and bins not included. 1200 pounds load capacity. 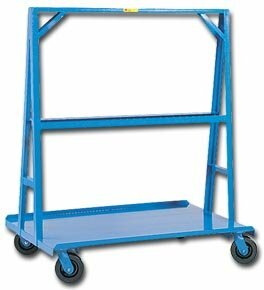 Cart measures 60-inches length by 24-inches width. Polyurethane wheels features easier rolling for higher capacities, long lasting, chemical resistant, non-marking and quiet operation. High strength polyurethane tread liquid cast and mechanically locked to a polymer or cast metal core. A polyurethane tread is superior for industrial, warehouse and institutional applications with a great combination of easy rolling and maneuverability under heavy load capacity while able to quietly roll over rough floor surfaces. 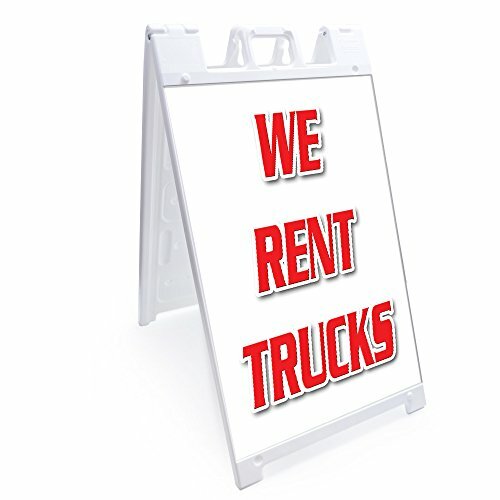 Compare prices on A-frame Truck at Elevelist.com – use promo codes and coupons for best offers and deals. We work hard to get you amazing deals and collect all avail hot offers online and represent it in one place for the customers. Now our visitors can leverage benefits of big brands and heavy discounts available for that day and for famous brands.